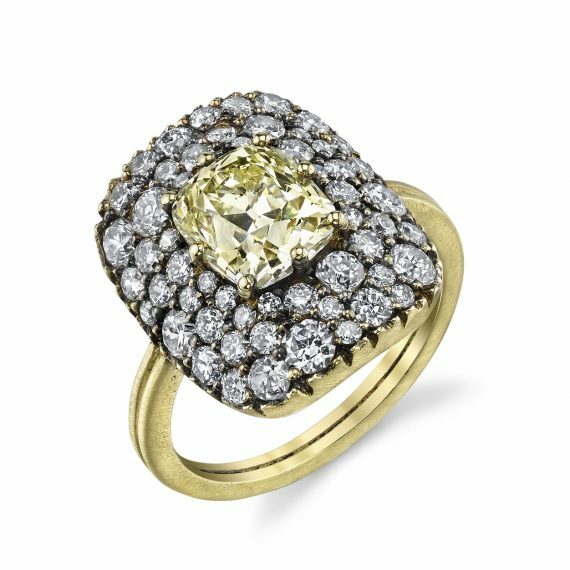 It’s a new dawn for these antique diamonds (circa 1860 – 1890); set in matte and blackened 18k yellow gold, a wide border of bead-set old European-cut diamonds (1.65 ctw) surrounds a pale yellow old mine cushion-cut diamond (2.06 ctw). First sizing is complimentary with purchase. Ring is currently a size 6.